There are Sikh religious badges that scouts can earn as well. Most popular activity under the Sikh tent turned out to be turban tying where there were long lines of scouts waiting to get a turban fixed on their head. 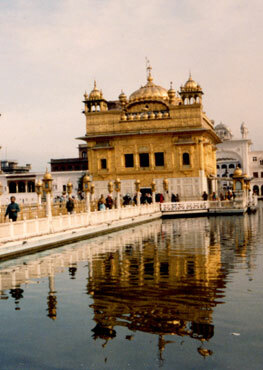 A Reflection on Sikhism: Faith, Food, and Fun! On 09/04/16, history was made for the growing population of Sikhs in the United States. Mile Hi Church , in partnership with the Colorado Sikh community, hosted the first full Sikh service to take place within Church walls. Alongside its rich and diverse Christian communities, Indianapolis is now home to significant communities of Jews, Muslims, Buddhists and Hindus. And all of these groups were on bright display at the Festival of Faiths. Sikhs have special affinity to the soil of Pakistan as their religion originated in that region of South East Asia. 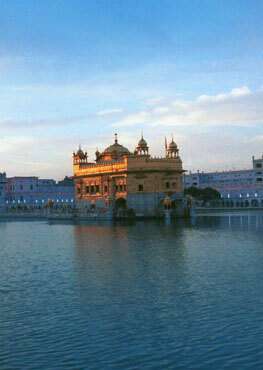 It ripened there and eventually Sikhs established a kingdom that extended from Afghanistan to Central India. “When we saw the incredible response to the short videos that we posted, with hundreds of thousands of views, we knew we were tapping into a deep need to share who we are with as many of our interfaith friends as we can..."
These answers according to Gurbani, to my three questions did make sense to me. So, essentially if the fundamentals are clearly understood, then the urge to convert others will be replaced with a desire for self-improvement. Imagine that Jesus, Budha, Krishna, Lao Tzu, or any of the great masters was actually going to come into the Sanctuary. This is the level of importance and reverence that the holy scriptures, the Guru Granth Sahib Ji is for the Sikhs. Rev. Shannon O'Hurley's video on the Turban as a Symbol of Peace and Safe Harbor accumulated close to 200,000 views in 48 hours. Her talk here on women's equality also speaks the truth. Together, with the Colorado Sikhs, we are making history.